The thing about trouble on the water is how quickly it strikes. One minute you&apos;re drifting along, congratulating yourself for putting your pals into big striped bass in the dead of winter. Ten seconds later, you&apos;re waist-deep in 38-degree whitecaps, balancing on the bow rail of your capsized 21-footer in the middle of Chesapeake Bay, minutes from freezing to death. "Obviously your perception of time changes in a situation like that," says Kevin Gladhill, who survived the February shocker with two fishing buddies. "But objectively, the time it took from the first wave to swamp us to the second one to flip us was probably three to four seconds. I went to start the engine and, boom, we were gone." The trio left Boonsboro in central Maryland in the wee hours of Feb. 10 to fish the famous "Rips," a plume of warm water that gushes up after cooling the reactors at Calvert Cliffs Nuclear Power Plant on the Chesapeake&apos;s Western Shore. 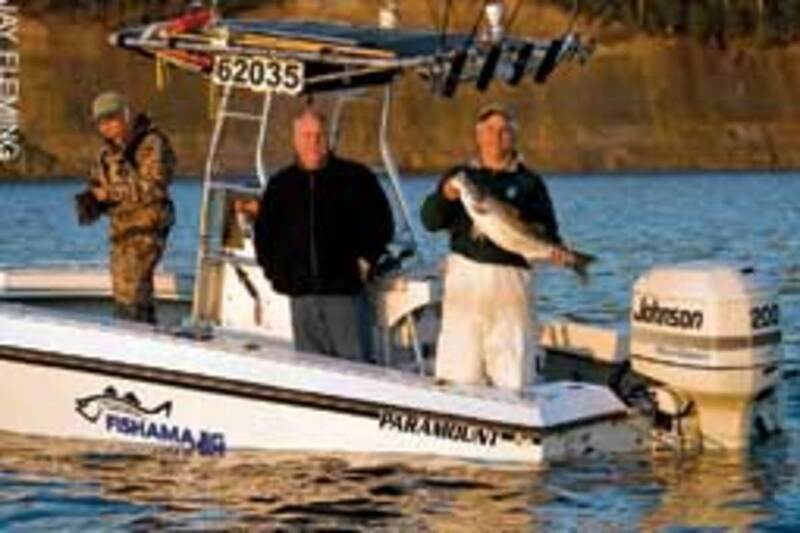 Gladhill, a 32-year-old police officer, had his trusted 21-foot Parker center console in tow. They launched at 5 a.m. at Chesapeake Beach and struck a course due south for the hour run to the power plant. It was calm and clear, with a forecast of 8 to 12 knots of wind from the northwest once the sun came up. By 6:30, Gladhill and his friends, Michael Krall, 35, and Russell Neff, 55, were jigging soft plastic lures over the rocky outfall and had their first big fish on. "It&apos;s been fantastic all winter," Gladhill says. "Last year it didn&apos;t get good until March, but this year we started catching the big cows in December." Rockfish season (that&apos;s what they call stripers in the Chesapeake) closes for Maryland recreational anglers in the winter, but catch-and-release fishing is permitted. By 7:30, the men had boated and freed about a dozen big ones 36 inches or better. By then the wind had come on with force. Gladhill thinks the gusts were 20 knots and more from the north-northeast, directly opposite the flow of the outfall, creating a boisterous sea. That&apos;s when part-time fishing guide Dennis Fleming turned up in his low-slung, 21-foot Paramount with a friend from work. Fleming, 51, an engineer, didn&apos;t like the look of the Rips. "There were 4- and 5-foot standing waves in the plume," he says. "The front part, where the water comes out, was fishable, but from about a quarter of the way back in the plume it was mayhem." Fleming tried a couple of drifts and hooked two good fish, but he considered the drifts too dangerous and was preparing to head out. "That&apos;s when I saw these guys heading into the plume and into the waves. Their motor was off, and the boat got sideways. I thought, That boat&apos;s listing. And then, oh my God, within seconds the whole boat turtled. It was my worst nightmare. I was shaking. I&apos;m totally afraid of cold water." Fleming called in a mayday on channel 16. 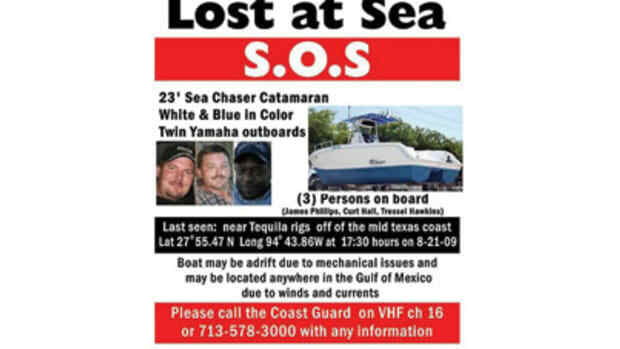 The Coast Guard answered quickly and demanded GPS coordinates, which Fleming didn&apos;t have. "They kept asking," he says. "I finally said, &apos;Look, I&apos;m off Calvert Cliffs Nuclear Plant at the discharge. I&apos;ve got people in the water. I&apos;ve got to effect a rescue!&apos; "
The run to the capsized Parker was only 100 yards or so. "When I pulled up, there was debris everywhere," says Fleming. "I saw a camouflage jacket floating, and I thought it was a person. I thought, Oh, crap. Then I saw the three guys standing on the bow rail, which must have been about 3 feet down, hanging onto the overturned hull. I pulled up. They didn&apos;t want to swim to me, and I didn&apos;t want to crush them. They all had life jackets on. My low bow rail helped. I pulled up, they grabbed it one at a time, and we worked them back to the stern, to the swim ladder." Fleming says they never could have gotten the men into his boat without the ladder. "The second guy was heavy, and he was scared," he says. "He said, &apos;Please don&apos;t let go of me.&apos; Then he got his foot stuck in the ladder, and we couldn&apos;t get him in the boat. Finally he pops in headfirst with a somersault. The third guy, he was the oldest but the lightest. He was easy." Fleming says it was all he and partner Terry Warhurst could do to keep their own boat from swamping as they struggled to get the drenched, freezing men safely aboard in the rough water. Once in, the three survivors instinctively curled into a survival crouch, knees to chin, and tucked up under any shelter they could find for the run to safety. 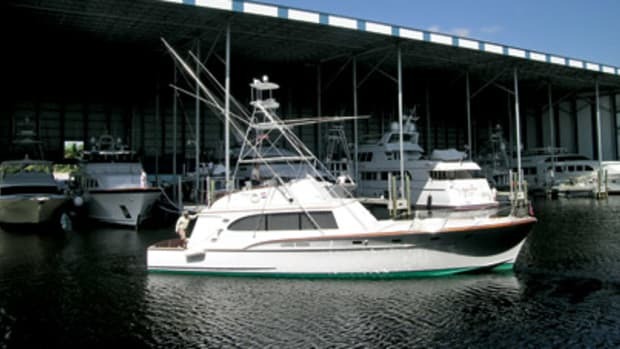 By good fortune, Fleming keeps his boat at a marina in Flag Harbor, just three miles from the Rips. It was three hard miles, upwind in rough seas in an overloaded boat. "It was cold as hell, and we come rolling into Flag Harbor at 8:30, the only boat on the Bay, waving frantically and blowing the air horn," he says. "The ambulance guys are there in the parking lot with the windows shut and the heater on. I finally had to call the Coast Guard dispatcher and get him to call the ambulance guys and tell them to come over to my slip and get these guys to the hospital." And so ended a remarkable, scary day. Fleming deflects all suggestions of heroism. "I told Dennis afterward, &apos;You stepped up, sprang to action and performed flawlessly,&apos; " Gladhill says. "He just said that I would have done the same for him. I&apos;d like to think that&apos;s true, but I hope I never have to find out." The three men were treated for mild hypothermia and released. Gladhill&apos;s boat has gone to the bottom, but it was insured. In hindsight, he thinks he made one bad mistake - cutting off his engine for the drift so as not to spook the fish. If it were running, he might have been able to power out of the rough patch after the first wave came over the cut-out transom. 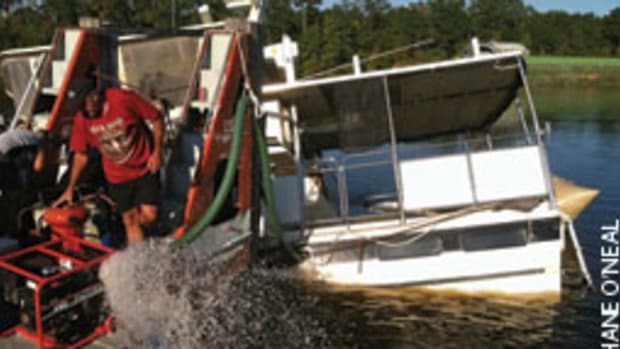 "That cost me my boat and almost my life," he says. He and his passengers were wearing life jackets, as they&apos;ve made it a rule to do. Did it save their lives this time? Maybe not, but it sure didn&apos;t hurt. "I&apos;ll tell you one thing," says Gladhill, who aims to be back afloat and fishing again this spring. "If you had ever told me that Parker would flip, I&apos;d have called you crazy."